Even as Prime Minister Narendra Modi invoked the 1984 anti-Sikh riots to counter the Congress' claim of "increasing intolerance" in the country under the NDA government, the principal Opposition party is all set to submit a memorandum to the President on the issue. Catch has exclusively accessed the content of the memorandum that the Congress is going to submit after a march to the Rashtrapati Bhavan. Expressing "grave concern at the growing atmosphere of fear, intolerance and intimidation" and a "sinister motive" of communal tension and conflict, the memorandum urges the President to personally intervene and use his office to communicate to the Prime Minister that such incidents are "totally unacceptable". Without naming the Dadri incident, the memorandum also points towards the fact that the Prime Minister and his cabinet "continue to harbour such individuals who have made inflammatory comments to fuel tension." 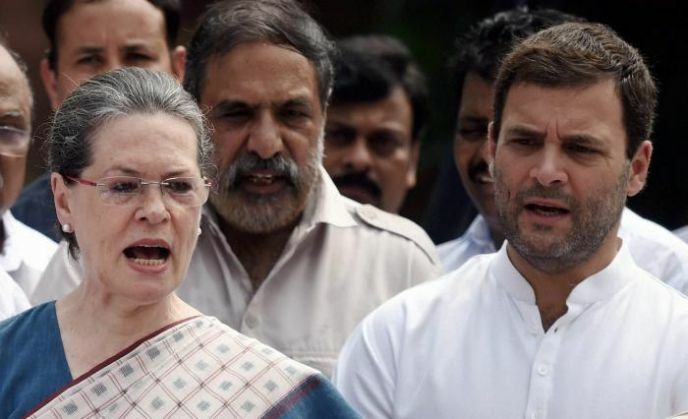 The "march against intolerance" will be led by Congress chief Sonia Gandhi - who met President Pranab Mukherjee on November 2 - and party vice-president Rahul Gandhi. Earlier in the day on 2 November, the Prime Minister took the ongoing debate over "intolerance" to poll-bound Bihar and raked up the 1984 riots in a bid to turn the tables on the Congress. Addressing an election rally for the last phase of Bihar polls, slotted for 5 November, Modi said: : "Today is November 2. Do you recall 1984? Lakhs of Sikhs were massacred in Delhi and across India on the second, third and fourth day of Indira Gandhi's killing in which serious allegations were made against Congress and its leaders. Today, on the same day, Congress party is giving lecture on the issue of tolerance. 'Doob maro, doob maro'." The Congress' move comes in the backdrop of several scientists, writers and filmmakers returning the national awards conferred upon them to protest "increasing intolerance" and a "crackdown on dissent" as evident in incidents like the murder of rationalists and the lynching of a man in Dadri over rumours of eating beef.